Trench Collection by Sonia Verardo: My Handmade Skull Bracelets & B-deas.blogspot.com update! 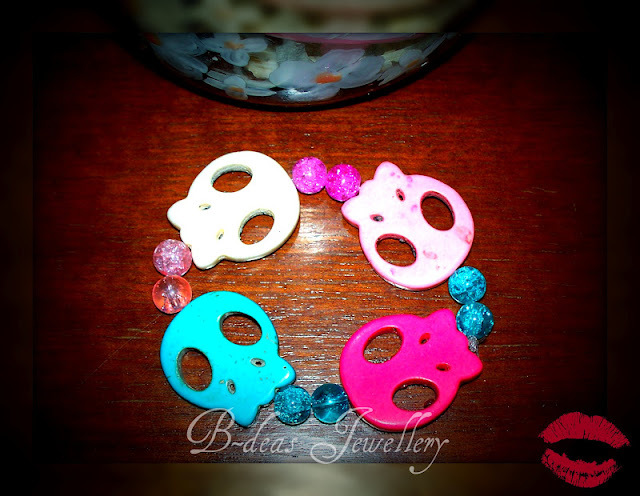 My Handmade Skull Bracelets & B-deas.blogspot.com update! 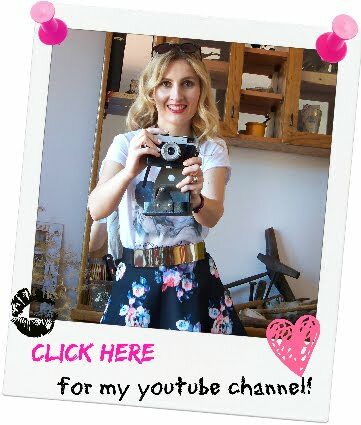 On my MissFashionKitty channel I have a new video up! 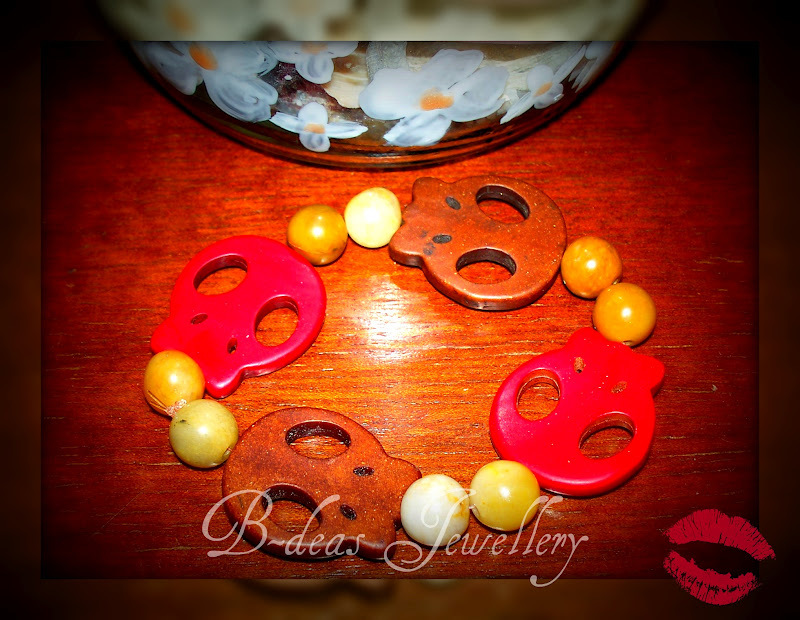 I dedicated it to my handmade skull bracelets and to fill you in on some updates that I have made on my b-deas jewellery blog. 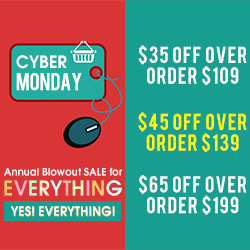 So don't miss out on my video! As I tend to wear these bracelets on a daily basis, layered with my watch and other wrap bracelets, I always get lots of questions & comments about them! Black & white skulls with black beads. 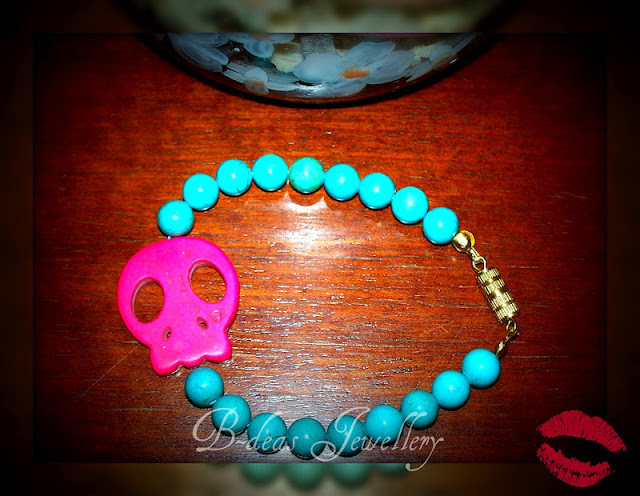 Hot pink, fuchsia and turquoise skulls, turquoise beads and a golden "lobster" clasp closure. Hot pink skull & turquoise beads. 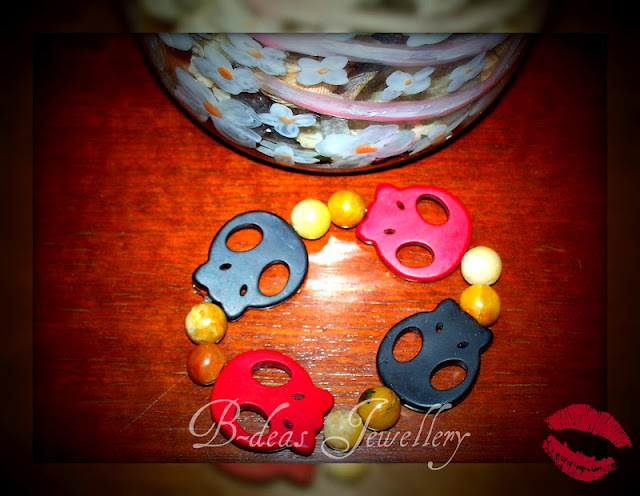 Elastic bracelet, red & black skulls. The colour combo of this bracelet is exactly what I'm wearing every day, layered with my rose gold watch by Fossil. 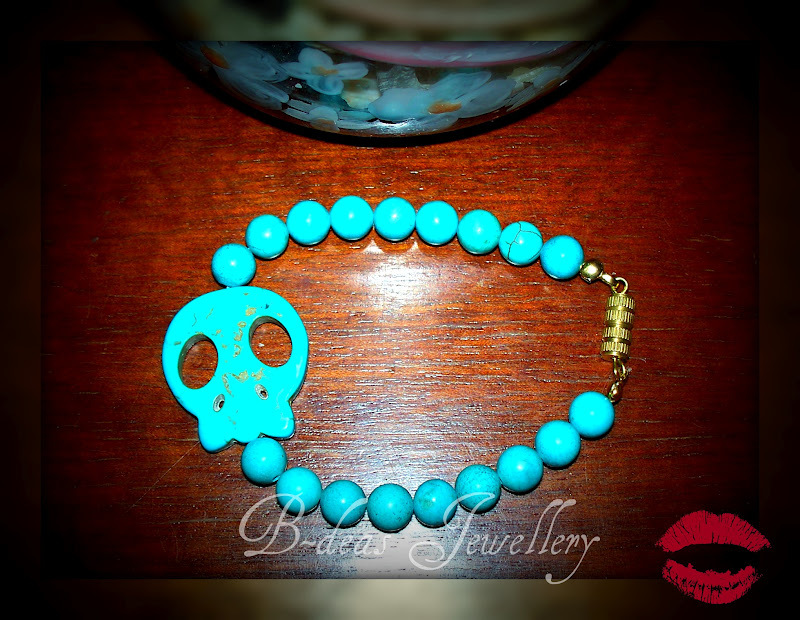 This turquoise bracelet is going to be perfect for summer, layered with some orange, or red colour bracelets! Find out more about these bracelets HERE! I also have a section "Guest Designer", dedicated to displaying the handmade jewellery of other stylist/artists/friends/family/ or just other creative people! This is my handmade jewellery dedicated blog. 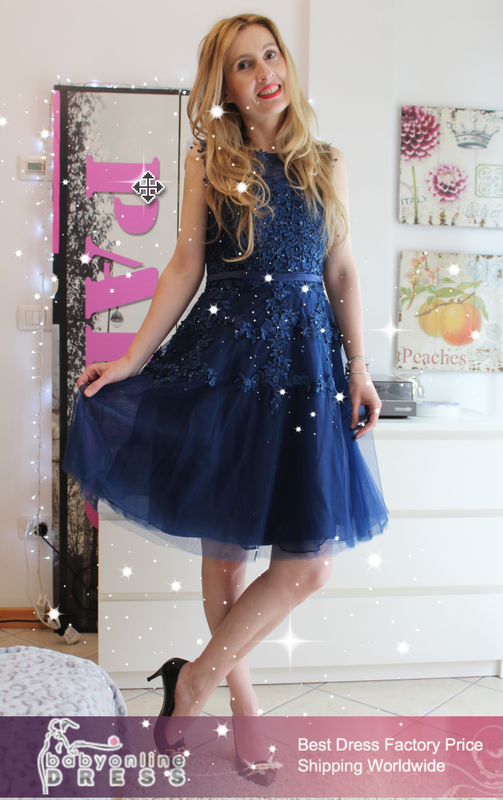 I'm also thinking about updating it with several different features, such as offering you my vintage/thrifted finds, or other jewellery/clothing pieces that I like & pick out for my blog! Your suggestions and comments are very welcomed & greatly appreciated! 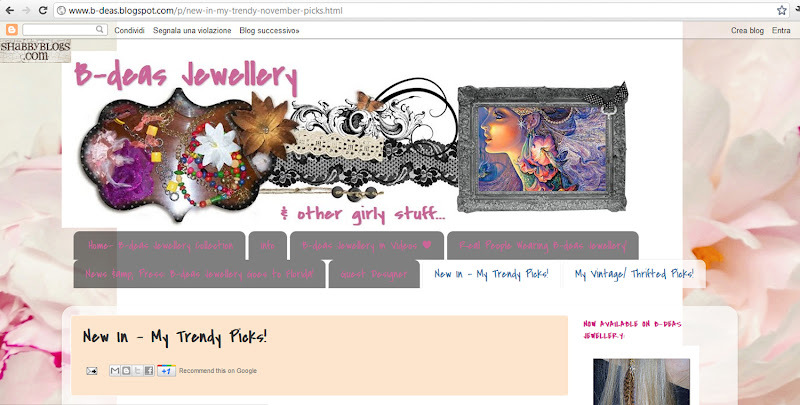 One of the features I'm currently working on: "New In- My Trendy Picks!" 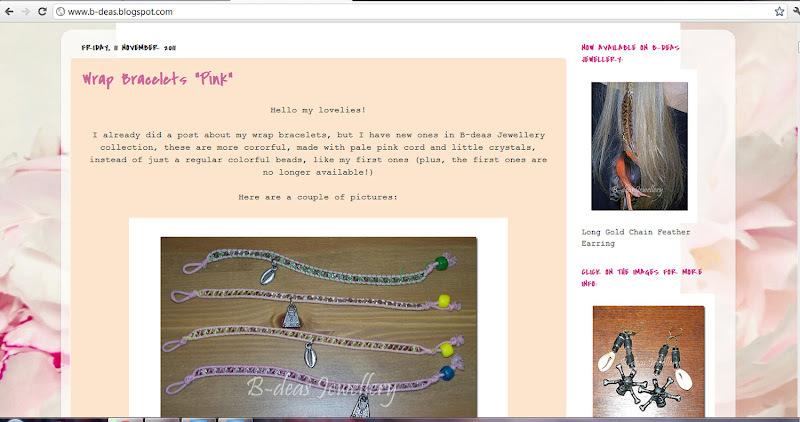 I hope you found interesting this quick, little update on my handmade jewellery! 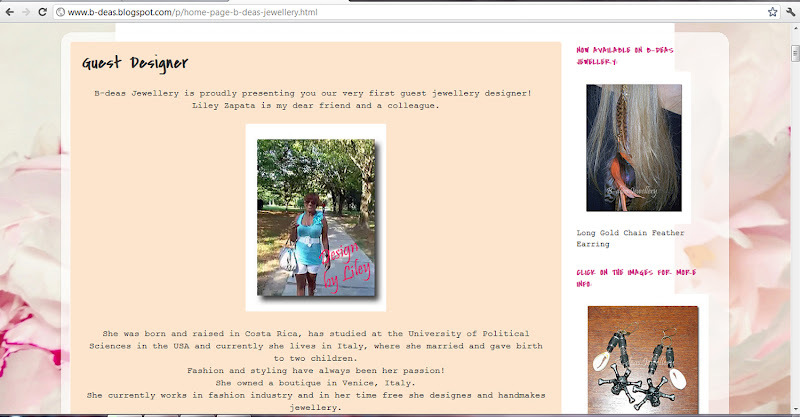 I'll be happy to answer any of your jewellery related questions! Kisss from Italy, have a lovely, lovely, creative evening! What I love about tutorial videos on crafts and arts is that these are done step by step, allowing for easy understanding of each part of the process. These handmade skull jewelries look so pretty! You'd have to find the matching clothes for those designs though. I have used waxed linen lately and really love how easy it is to work with. I will have to try this tutorial, you have sparked an idea for a twist in it too! Thank you very much for such a informative post, I must say you have highlight many important thing in this post again thanks for sharing! Click here to know more about Pink Bracelet.